The week before I left I tried to pack in as many restaurants as possible. 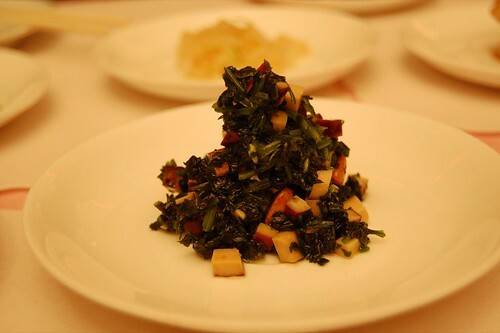 One of those places was the infamous Jai Yun, which has gotten much press for its single chef, prix-fixe menu, and authentic Shanghainese cuisine. I don't really think of Chinatown for great food, with a few exceptions--Golden Gate Bakery, R&G Lounge, etc. 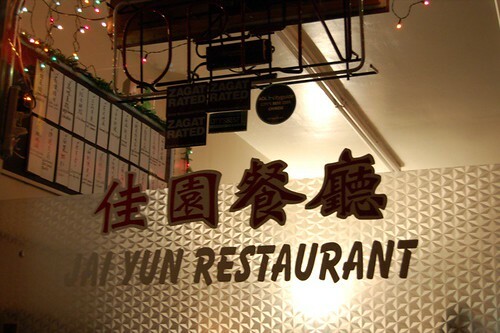 Jai Yun has a very inconspicuous storefront, with only the dim lights from inside the restaurant illuminating the sign on the glass. Walking by, I would never have thought I passed a great restaurant. The open sign is never even turned on. The ambiance leaves much to be desired, but the food really makes up for that. 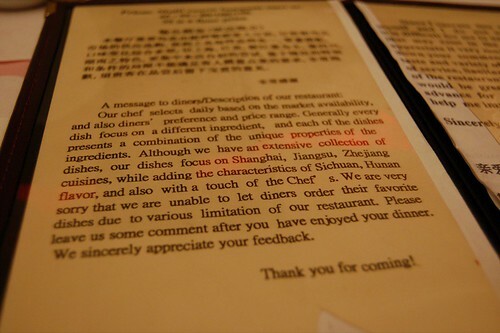 The restaurant has no menu, but diners do get a statement about its policies. 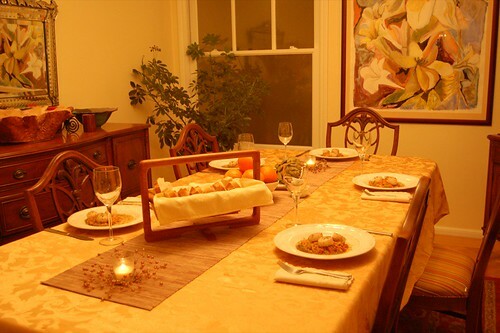 You order per person by price, with dinners ranging from $35 to $150. 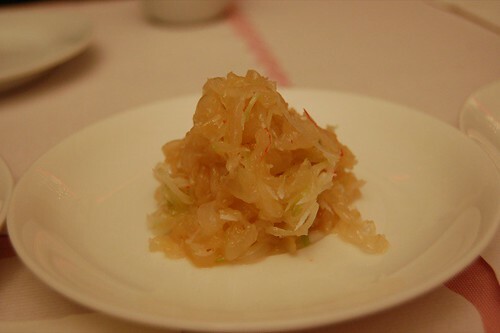 The price determines the ingredients in your dishes; I assume the most expensive would have the most delicacies like bird's nest, shark fin, etc. For a table of 4, we went for $55 a person. We ended up with 22 dishes total, so I am splitting up this post. Nice knife work, but flavors were not unlike anything I could find elsewhere. The smoked fish was soo good. The flesh was tender and juicy, and the sauce was so delicate. The crispy skin surrounding the creamy fish had a great combination of textures that remind me of the crab croquettes at Delica rf-1. I only wish this were an entree! Delicate and juicy, this was great. For some reason, the dining room got darker, so the quality of pictures started declining. The chicken was juicy and had very intense flavor, but it was a bit salty for my taste. One of my other favorites of the night; great flavor, just slightly sweet, with no overpowering cilantro flavors. The appetizers were all pretty solid and we finished them all. 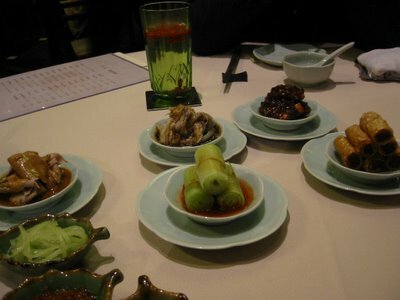 The portion sizes were done well, so everyone got 3 bites of each dish. 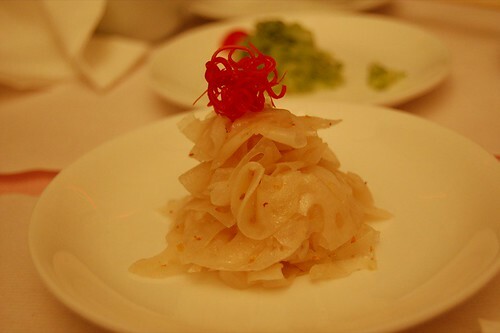 They were all very delicate, even surpassing some of the fancy restaurants in Shanghai. This was taken during my trip last Christmas. Sorry for the lack of updates--it's only been the first week of school but I've been busy dealing with my schedule. The very temporarily springlike weather has now passed so snow has fallen once again. I still have a huge backlog of winter break eats though. 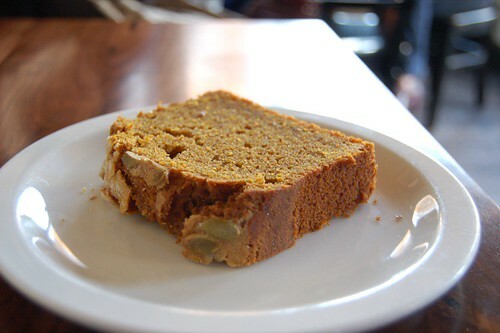 One place that I frequented (too) often was Tartine Bakery. I think I must have gone at least four times a week for coffee and pastries. Their croissants are sooo good. 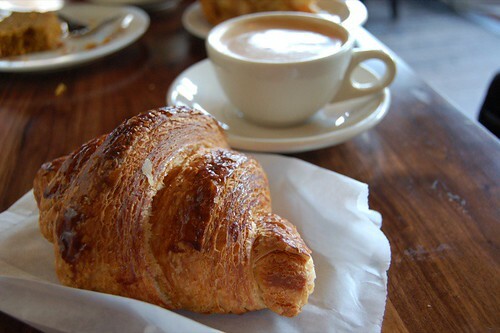 Flaky, buttery, toasty (but not burnt), these are some of the best croissants in the city. But what I find even more amazing than their croissants is their hot chocolate. 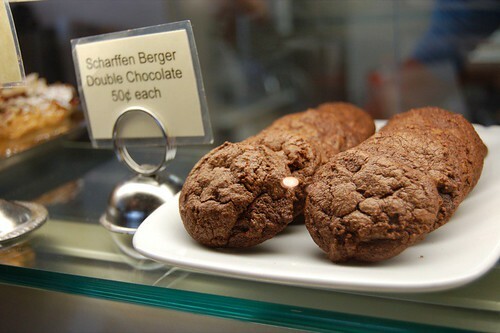 The Scharffen Berger chocolate is so rich that it adheres to the sides of the cup. It's like drinking a warm chocolate bar! I must note that I usually get a mocha though, being the espresso fiend I am. 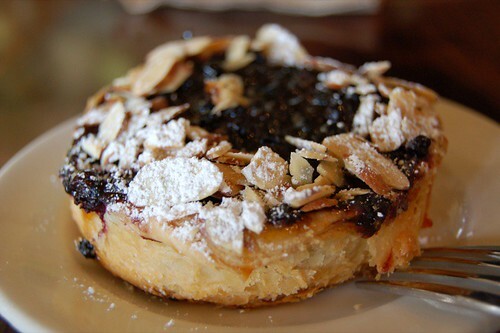 It is needless to say all of Tartine's tarts are flaky and delicious. 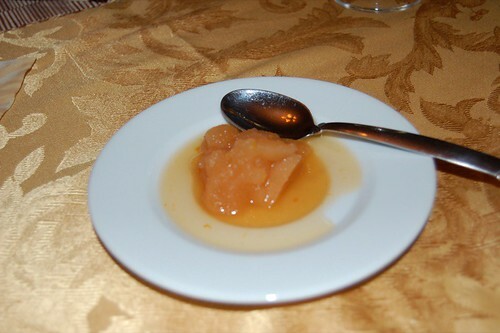 What I really enjoy about this one are the fresh apples, sweetened just a tad, and the thick layer of toasted almonds. I was a bit cautious when I ordered this, because at most places, these type of cakes are too dense and sweet. However, Tartine didn't disappoint. Very flavorful with a great pumpkin spice and clean taste. 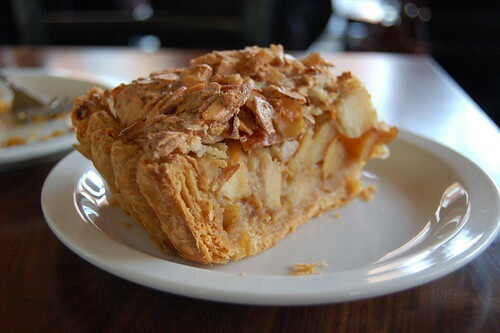 I am unable to resist any sort of flaky crust with almonds. The (cran? )berries were fresh and bursting with flavor, and the light almond cream sweetened it perfectly. The almonds topped it perfectly with a crunch. One of my favorite pasttimes is chatting over espresso and biscotti during afternoon tea. Fine, I don't get to do this so much so I overcompensate during breaks. 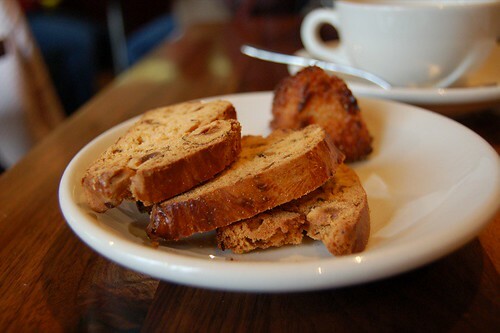 The biscotti here are delicious--abundant walnuts with a great crumbly texture. I despise crispy and hard biscotti! I hereby declare Tartine my second home. I haven't had anything bad there; nothing was ever too sweet or tasted unfresh. If you're lucky, you can catch them baking a batch of walnut/country bread. It's only been four days and I'm suffering from Tartine withdrawal! 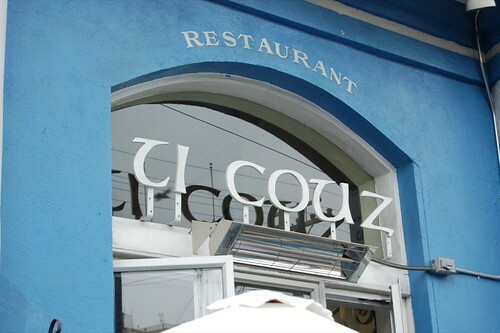 One of my favorite must-visits when I'm in San Francisco is Ti Couz on 18th and Valencia. 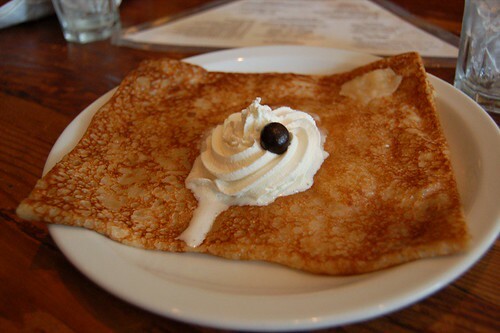 Not only is it the first creperie in the city but also one of the few places to serve Brittany style crepes. 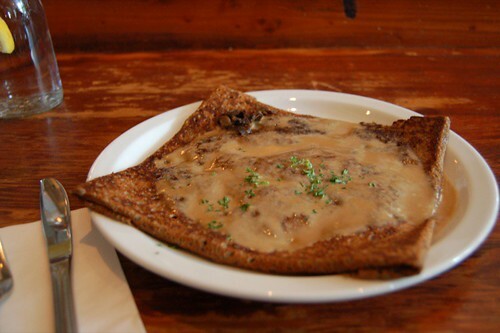 Galette on Fillmore is also very good for Brittany crepes. Places like Squat 'n Gobble don't stand a chance. Something I'm not too crazy about is the service, though. I always end up with the same female server who has a lot 'tude. Some of you probably know whom I'm talking about. 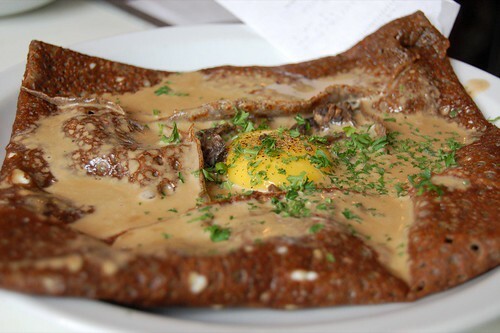 Something I love about their savory crepes is that they're not too heavy. They're well seasoned and generous with the filling, but it doesn't make you feel nauseated after eating them. Portion sizes are pretty big too--I always want to order dessert, but alas, my stomach inhibits me. The skin is crunchy with a hearty buckwheat flavor; my favorite parts are the crispy edges. I always get some variation of mushroom. 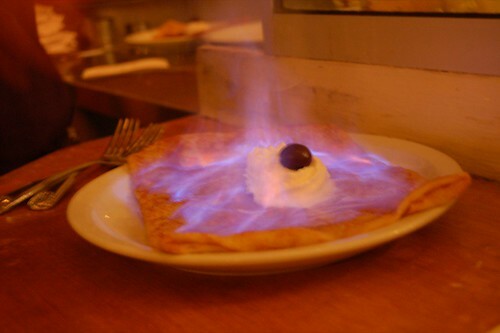 All their dessert crepes are excellent as well. They're very good about not making things too sweet. I usually get a fruity crepe, since the fruit is fresh, not syrupy like many other places. Beautiful and delicious too! 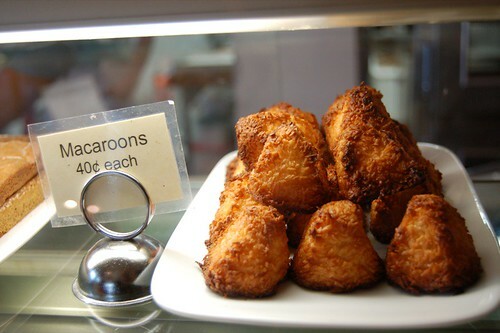 My must-visit when I go to Ti Couz is Tartine Bakery a few blocks away. I'll post about that next. 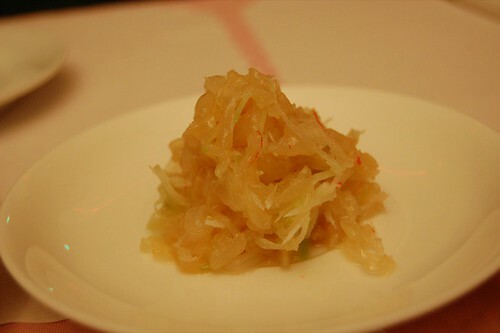 Because the prospect of blogging about Jai Yun is so daunting, I'll cover a meal I had at Farallon about 2 weeks ago. I've always heard more praise for Kuleto's interior design at Farallon than anything, so it was a chance to test if the food would stack up. We were seated right near the entrance, generally a good view of the restaurant, though we probably would have had a better view if we were seated in the mezzanine. However, the lighting was also better for my picture taking. Oh, the things that matter once you start a blog about food. 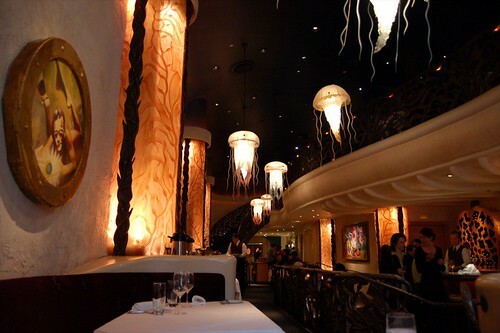 The decor was pretty nice, and I liked the glass jelly fish lights. 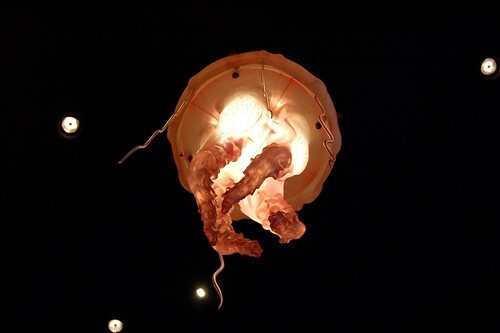 I had the pleasure of sitting under one with particular fat tentacles and also next to a painting of a seahorse drinking a martini with a straw. Pretty hyphy. As it happens to be Dine About Town, we decided to go for the 3 course prix fixe, which sounded pretty good. 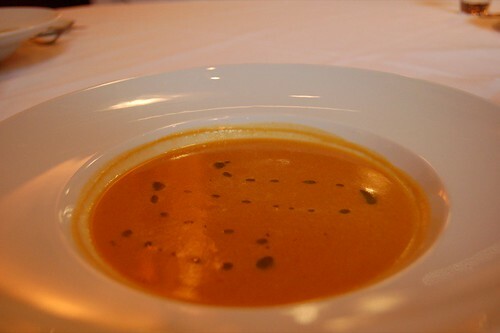 The first course was a lobster bisque, which turned out to be the best course of the meal. It was rich and creamy, with an intense lobster flavor. It was seasoned just about right so that you could taste the lobster. Pacing was sort of off; while we were having our soup, the bread and butter came out. Our server proved unattentive and unknowlegable during the meal; one of my companions recognized the signs of a hangover. 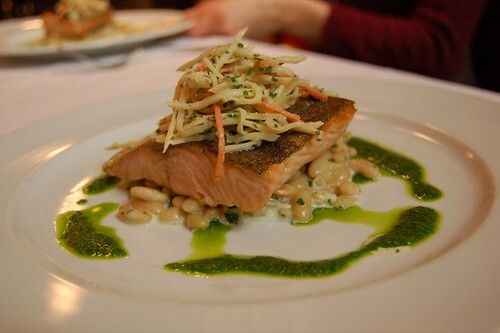 I'd never previously had steelhead and it turns out to be a nondescript tasting fish. Its flesh is colored a hue lighter than salmon, pretty much the same shade when it is raw. Whole foods sells it occasionally. The flesh, though sort of bland in flavor, had a very tasty skin. It was crunchy and flavorful, which went really well with the smooth flesh. The doneness was just right, so it had a good texture. The accompaniments were alright. I liked the starchiness of the beans but they didn't add anything new in terms of flavor. The salad was a bit too crunchy to go with the fish but it was tasty. The arugula pesto was very pungent but just didn't really go with the beans or the salad. It looked nice on the plate but seemed a bit out of place with what we were eating. I would have enjoyed just the fish and beans. This was a pretty blah dessert. Even as a lover of peanut butter, I didn't find the "mousse" very good. It just felt like eating sweetened peanut butter out of the jar with chocolate syrup. 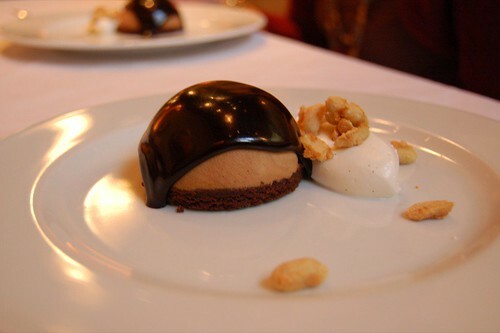 The mousse should have been really light to go with the heavy chocolate base. In addition, the cream and peanuts proved superfluous. I didn't eat much of this dessert since it was too heavy. The lunch wasn't bad but wasn't outstanding either. Perhaps it was just the mediocrity of this menu, but Farallon's food didn't live up to the fame of the decor. All the dishes were a bit lacking; nonetheless, I feel the restaurant has a lot of potential. Today I leave for the blistery winds in Ithaca; I'll be updating again once I'm settled. Aufwiedersehen! Something I love about the Bay Area is the abundance of good, cheap eats. I do love a tasting menu, but sometimes (or often) you just get a calling for cheap, hearty Indian food. 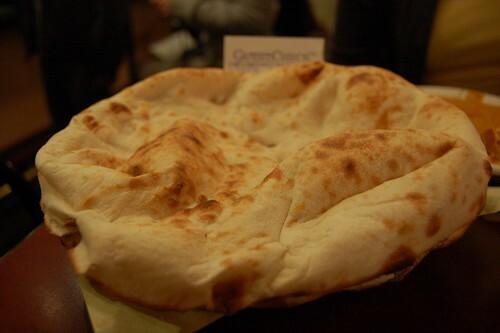 One of my favorite joints is Naan 'n Curry. Just as there is a rivalry between Marina Subs and Subs, there is one between Shalimar and N'nC. I guess I shall enter the fray by choosing the latter. Boneless chicken cubes in a rich, creamy yogurt sauce. 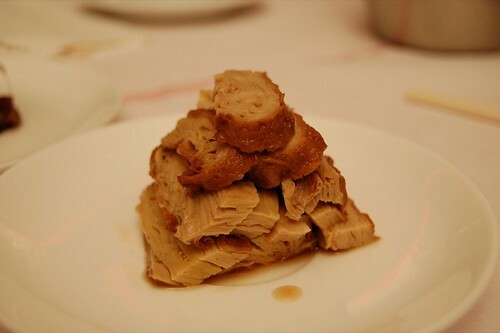 I admit this picture looks like meat in uni-shade goop, but it is so good. The best thing about the chicken is that it is doused in the sauce, or as I like to call it, ambrosia. For five bucks, this is dirt cheap. 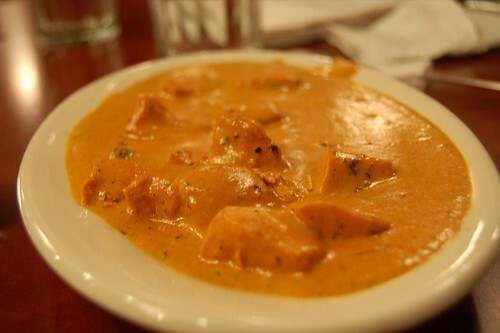 Nothing goes better with the sauce than a piece of naan. Crunchy, toasty, and poofy, this is simply delicious. I like to just dip it, or make a "naanwich" like those of Indian Bread Co in nyc. Naan n Curry isn't fancy nor tries to be, but it's a good place for straight up good food. Hell, even Pooja, epitome of everything Indian, eats there. 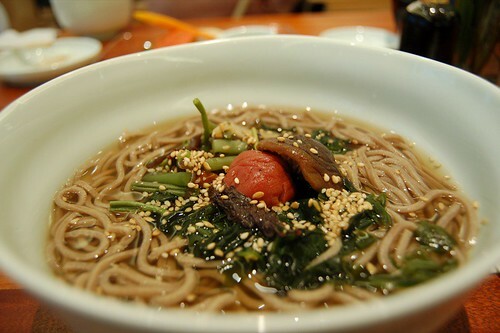 "The Zen monks of Japan say that food should be taken simply as medicine for the health of the body. 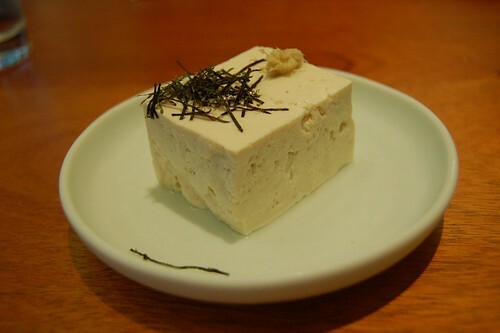 Over half a millennium, they have created a seasonal cuisine called shojin to express this ideal. 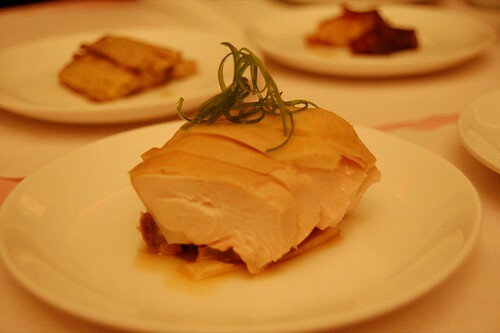 At MEDICINE, we call our cooking new-shojin because we have given it a unique edge, and incorporated modern nutritional ideas. We serve this food at our eat-station a quick, everyday place-to-eat, joyfully liberated from the formality of traditional restaurants." This was not hearty at all. The noodles were nothing special and the "shojin broth" tasted more like very watered down soy sauce. There was absolutely no flavor to this. I understand the whole concept of the restaurant is simple, healthy, but it doesn't mean bland and tasteless! 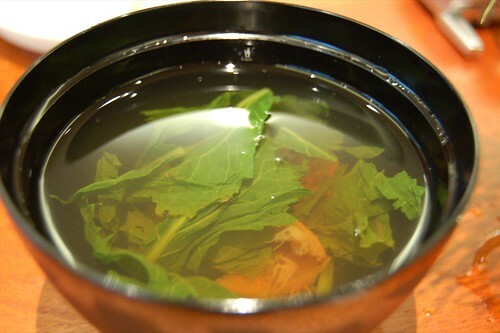 I've tasted vegetable broths a thousand times better. I was expecting silken tofu, but this was more like a thick custard. It was slightly crumbly and hard to cut into. Again, nothing special. I can't believe they even listed this part of the set--they give you this for free at most Japanese restaurants! 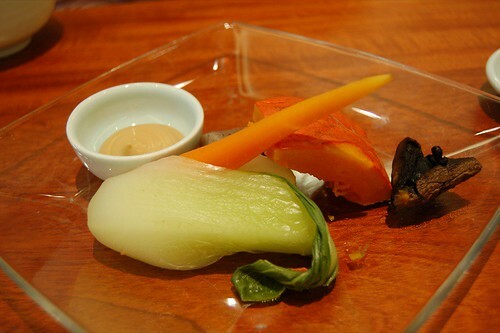 These pickled vegetables were not very tasty either. Ruth decided to go for the clarity set at $9.95. This was perhaps the biggest ripoff I have ever seen at a restaurant! I was almost laughing when her order arrived--it was that ridiculous. "Sophisticated?" Five boiled pieces of veggies with some sesame sauce that, coincidentally, also had no flavor. The vegetables were so overcooked that each piece was tasteless. If they wanted to win customers over with food styling, they also failed in that respect. I got a taste of this as well. Since most of their food had no seasoning or flavors, I was expecting a tasteless soup, but this was very salty. It was basically a bowl of vegetables in some cold salt water. Tasted as bad as it sounds. 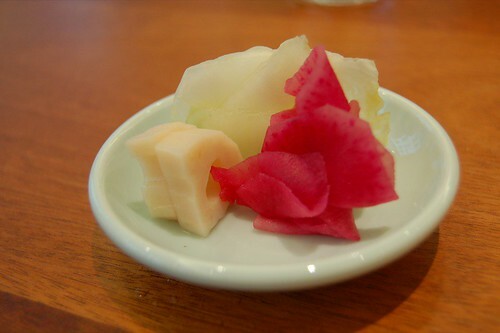 The set also included the tofu and the pickled vegetables. The best thing i could say about the meal was that it was a palate cleanser for my French Laundry debauchery that followed that night. I respect Medicine's concept, except aren't they somehow supposed to make this healing food...edible? 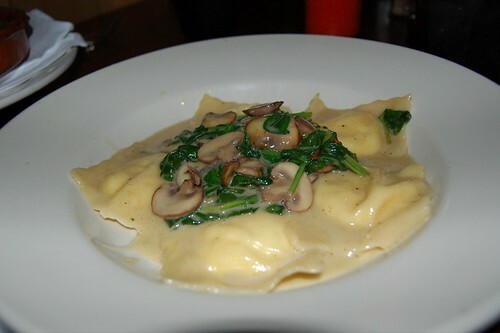 Patrons go to Chez Panisse for a concept too, but at least their food is good! 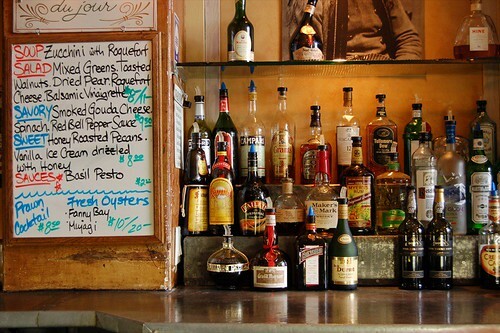 The owners of this place are geniuses. 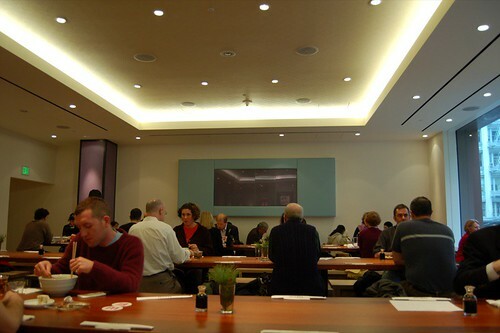 Capitalizing on the great Financial District location, the clientele of affluent business diners, they can draw (and win over) so many souls with their shojin concept. If you don't like the food, it's not their fault--it's yours for not getting it. Oh yeah, they also tack on a 17% service charge for some very shoddy service. Seriously, they're geniuses. If you are on a detox diet or just feeling very masochistic, go to Medicine. But even then you might be disappointed. (glowing) Jai Yun report coming soon! 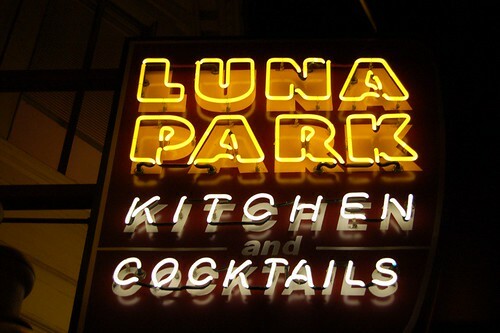 One of the less spectular meals I had this break was at Luna Park, and that is euphemizing things. I guess it could be considered either the worst, or pretty close to that (worst was probably Le Soleil). It's a popular place on 18th and Valencia, always with a crowd outside the door. It is beyond me why this place has any customers, because with all the good choices nearby, why would anyone come here? The place is teeming with masochists I guess. We were a party of seven and were seated in one of the booths next to the corridor leading to the back dining area. The booth was quite dingy, something you would find in a shady bar in the Midwest. I was not very fond of the decor (janky chic??). Our server was a girl in her twenties who was quite inattentive. She came to get our orders and bring our dishes, but we never saw much more of her. For an appetizer we got Warm Goat Cheese Fondue with Grilled Bread and Sliced Apples (unpictured) and the grilled artichoke. I didn't get to taste the cheese fondue. 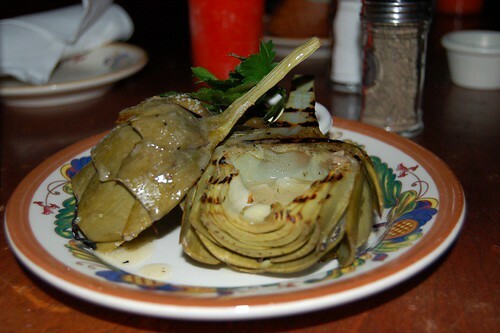 The artichoke was simply bad. It was so salty and sour--I assume it was marinated for a week in some really poor tasting vinegar? It totally overpowered the taste of the artichoke that I couldn't even taste it. The lemon aioli was totally useless since the artichoke was so overseasoned. 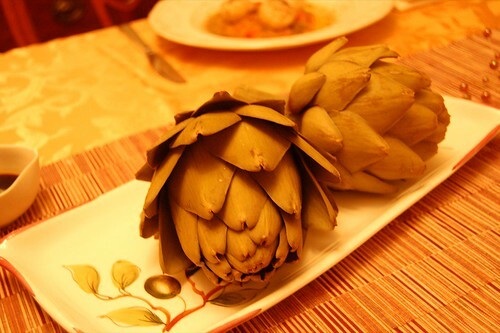 What a waste of artichoke! I ended up choosing beef cheeks over mahi mahi. 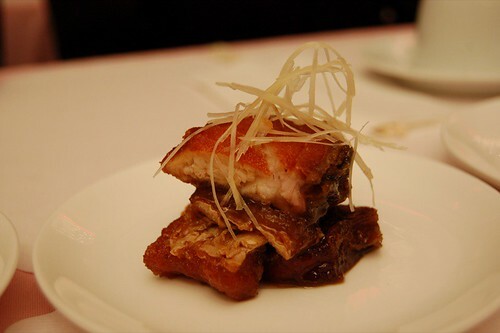 Our server described it as "simmered for 4 hours" and "so tender it melts in your mouth". Who can resist such a description? Ok well, imagine my surprise when it arrived like this--a clay pot of...goop? I couldn't see what I was eating the entire night because it was so dark, and even the food didn't reveal to me as what I was eating either! My first bite was only the sauce, which was extremely salty. It had hardly any beef flavor, and I tasted more celery, carrots, and peppers than mushrooms or onions. Anyway, under the thick mess was the beef, which I suspect was not even beef cheek but more like beef brisket. It was soft and tender, but certainly not melt in my mouth. It was not even that beefy! It just tasted like a salty but flavorless pot roast. 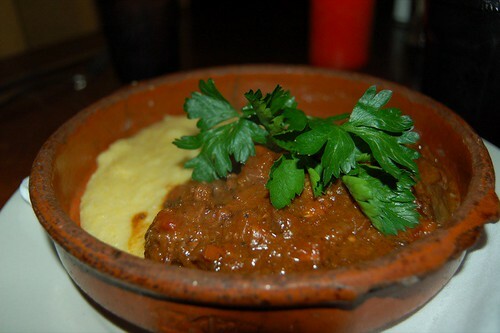 The polenta was simply mush--pretty tasteless and bland, and the texture was in competition with the beef "stew." I got to sample a bite of this, and it was drowning in salt. I also didn't taste any truffle oil. I didn't even opt for dessert since the apps and entrees were so bad. The only thing that saved this meal was the company i was with. Luna Park is abyssmal! Apparently, the former chef left so it used to be good at some point. But why do people still frequent this place? Way overrated and undeserving of a second chance. Tonight, D, J, and I put together a tasting menu after scouring the day's harvest for fresh ingredients. What resulted was not only a great meal, but a culinary revolution. A menu that withstood the course of the night. Handwritten by yours truly. 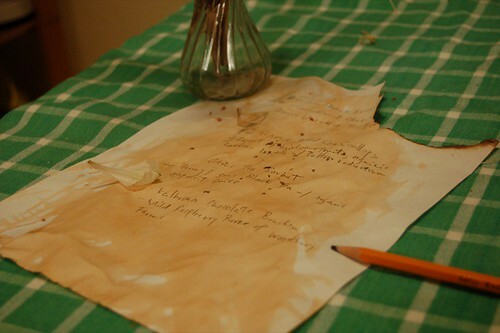 Also, notice the rustic tablecloth, burns I made with a blowtorch, and the earl grey tea stains. Pan seared wild sea "coquilles", with ragout of heirloom tomatoes, Aunt Louise's Latvian lentils with saffron basil "emulsion"
Yeah, just as complicated as it sounds. 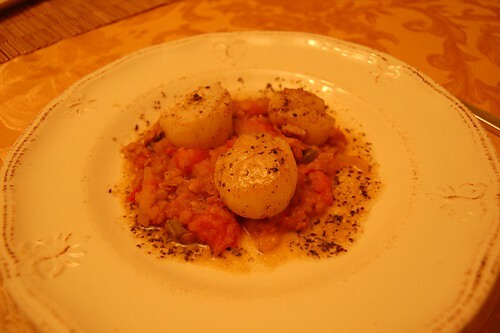 The sea scallops were perfectly cooked, with a carmelized exterior and a buttery, melt in your mouth interior. The lentils tasted just like how Aunt Louise used to make, which, I assure you, is no easy task indeed. Note the rustic plate to match the authenticity. 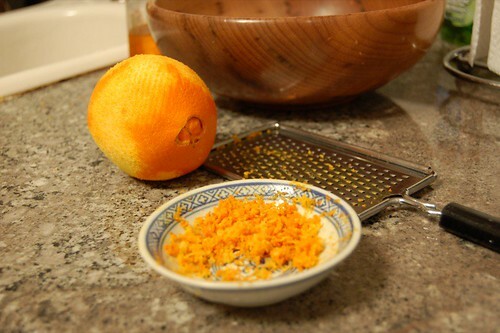 Harney & Sons Earl Grey with fresh Woodbury Farms grapefruit and hand grated orange "rinds"
This is truly the nectar of the gods. 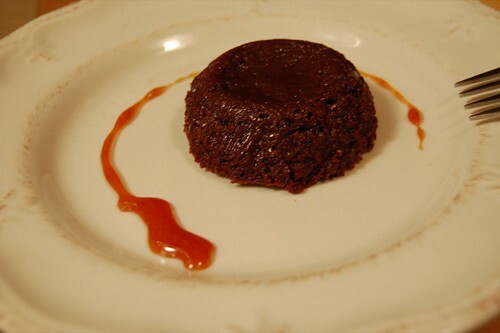 Clean and even bordering on healthy, who can ask for a better dessert? Oh, just you wait. Valrhona Chocolate "Bouchon", with citron orange rind "reduction"
Rich and dark, the "bouchon," or French for cork, just oozed with "goope" when cut into. 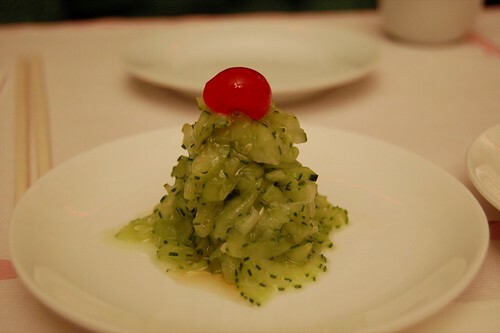 The heavenly citron, simmered for 4 hours, made for a very interesting and brilliant pairing. The wine of the night was selected by our chief sommelier, Sir Robert Borden. A 2002 Thomas Fogarty, it was full bodied and low in acidity. An excellent choice, Mr. Borden. 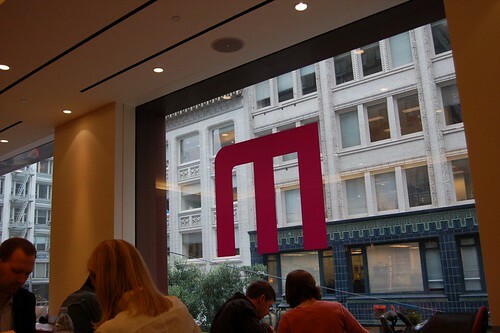 One of my favorite lunch spots in the Union Square area includes Mocca, right next to the Chanel store and across from the brick building designed by Frank Lloyd Wright on Maiden Lane. 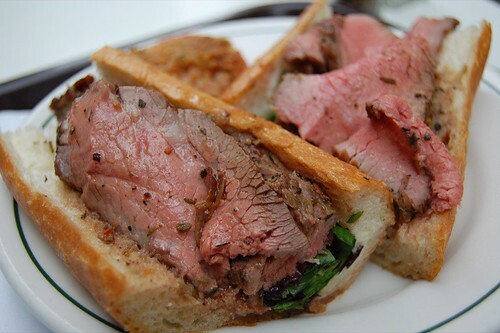 Behind a giant glass display lie a lot of great salads, various antipasti dishes, and pastries but the true gem are the tri-tip steak sandwiches. These are probably tied for my favorite sandwich in the city other than the roast beef or meatball subs from Submarine Center on West Portal. Yes, we all know Subs just blows Marina Sub right out of the water. God, this is heavenly. 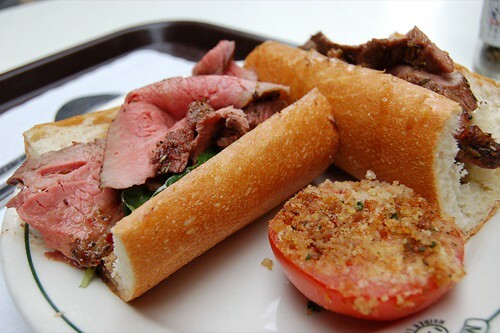 The baguette is fresh and delicious and the beef is so juicy, doused in red wine sauce and just the right level of doneness. The cuts of beef are always great; everything at this place is just consistently good. The tomato provencal is delicious as well. If you like good beef (who doesn't? ), check this place out. I'm def coming back here after Mac World, before I leave for school!